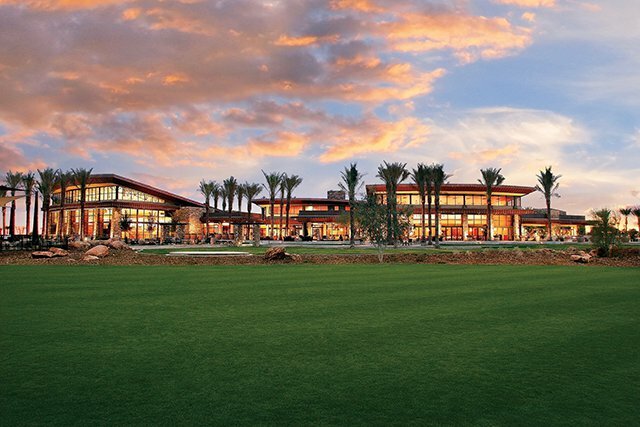 Vistancia is one of Arizona's most sought-after master-planned communities. Vistancia is the award-winning, master-planned community in Peoria, Arizona. Spread across 7,100 acres of beautiful landscape and consisting of three distinct subdivisions that include The Village, Blackstone, and Trilogy, Vistancia provides endless options for homebuyers to choose the unique home designs, amenities, and lifestyle they desire. This vibrant master-planned community has one of the largest selections of new home builders in the Northwest Valley offering more than 35 new home models and 75 floor plan options. Each subdivision within Vistancia offers a myriad of home design collections from premier builders, making it easy for homeowners to choose the perfect design that fits their style and budget. The Village is a multi-generational and family community that will contain 3,000 homes upon completion and features builders like Ashton Woods, Mattamy Homes, Meritage Homes, Ryland Homes, and Shea Homes. These large homes feature one and two-story floor plans that range in size from approximately 1,677 to 4,762 square feet of living space. Homes within The Village are priced from the low $200s to high $500s and typically include two or more bedrooms, two to three-and-a-half bathrooms, and two or three-car garages. Blackstone is a private, gated community that includes luxury builders such as David Weekley and also contains custom homesites. This 500-home community provides elegant and spacious homes that enjoy beautiful golf course or natural Sonoran desert views. Homes within Blackstone typically range in size from 2,117 to 3,027 square feet and have three or four bedrooms and two to four-and-a-half bathrooms. This luxurious neighborhood also offers a distinct selection of custom homesites that are about one-half to three-quarters of an acre and are perched above the fairway or nestled into the secluded desert arroyo, allowing residents to customize their dream home to fit their unique taste and lifestyle. Trilogy at Vistancia is the 55+ section that is sprawled across 1,360 acres and will host 5,450 homes upon completion. Shea Homes is the premier builder in this active adult section and offers distinct home designs that cater to the 55+ crowd, which include single-story homes with two-story loft options available on some floor plans. These exquisite homes come in six innovative collections and range in size from 1,218 to over 3,000 square feet and have two to four bedrooms and two to four-and-a-half bathrooms. Each collection features beautiful exteriors such as classic desert contemporary, Spanish, or Tuscan architectural styles. Shea Homes also allows buyers to customize their residence as a Shea Green Certified home, which includes energy-efficient designs that help reduce energy costs. In addition to the wide selection of builders and home designs, Vistancia also provides countless amenities and recreational facilities throughout the development. Each community has its own set of clubhouses, parks, schools, and recreational areas that make it convenient for residents living within Vistancia. The 15,000 square-foot Mountain Vista Club is the centerpiece of The Village at Vistancia. The Mountain Vista Club offers an aquatic park with three pools, indoor basketball court, four lighted tennis courts, a game lawn, as well as a six-acre recreational facility dubbed Foothills Center that includes a six-lane lap pool, children’s playground, and picnic ramada. Blackstone at Vistancia is nestled along the Blackstone Country Club and private golf course. This gated community offers members a 30,000 square-foot clubhouse, 24-hour fitness center, resort-style pool, four tennis courts, casual and fine dining, neighborhood park, half basketball court, children’s play area, recreational lawn, and walking paths. The age-restricted community of Trilogy has five-star resort-style amenities exclusively for its residents. The 35,000 square-foot Kiva Club is the central hub of physical activity and social recreation. It provides a comfortable and inviting atmosphere where residents can mingle and stay fit. Amenities here include a ballroom, café, card room, Alvea Spa, aerobics and dance studio, state-of-the-art fitness center, indoor lap pool, billiards, theater, V’s Taproom, computer lab, and center for higher learning. The terrific amenities continue outdoors with a resort-style pool and spa, tennis courts, event lawn, parks and natural space, 3.5 miles of walking and biking trails, and a public 18-hole golf course. Trilogy at Vistancia also has an all-new Mita Club, a 17,000 square-foot amenity complex that provides additional fitness and social spaces. Some of those include a fitness studio, locker rooms, culinary studio, café, yoga room, poolside cantina, resort-style pool, and cabanas. Ideally situated in Peoria, AZ, Vistancia residents enjoy easy access to daily conveniences such as national retail chains and outlet malls. Just a five-minute drive puts homeowners in front of a wide selection of grocery stores and restaurants. Residents can also travel outside of the community for additional shopping and entertainment options as well as great local attractions within the Phoenix Valley including a movie theater, Wildlife World Zoo, Peoria Sports Complex, Lake Pleasant Regional Park, and the Phoenix Zoo. Medical facilities like Arrowhead Hospital and Banner Del Webb Medical Center are also a few miles away. With so many world-class amenities and attractions as well as a diverse collection of homes from top builders, it’s easy to see why Vistancia is a unique and sought-after master-planned community in Central Arizona.